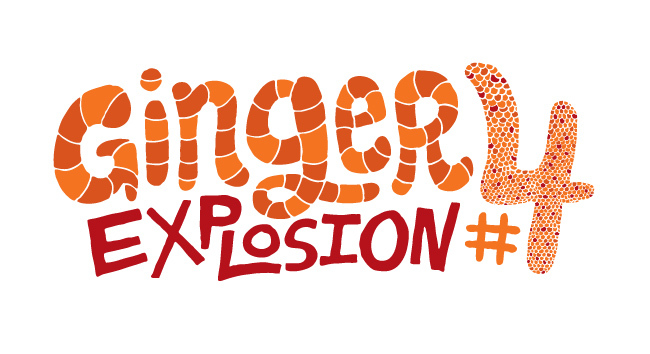 Ginger Explosion4 will be January 28th at 6:30 PM, and will be returning to PA's Lounge in Somerville for the third year in a row. This year, we'll be featuring 3 of Boston's best food trucks, along with Union Square's Indian Fusion restaurant Dosa N Curry (formerly Dosa Temple). Roxy's Grilled Cheese, Mei Mei Street Food, and Staff Meal will also be participating. This event is a fundraiser for ArtsUnion, and your ticket gets you a complimentary ginger cocktail courtesy of Domaine de Canton along with samples from the restaurants above. No redheads will be exploded at this event. As with all events, ginger samples available while supplies last. There should be enough for everyone to try, but please don't expect dinner. This ticket is good for one entry to Ginger Explosion 4. This ticket is exactly the same as a Regular Ticket, but it costs $4 more.